HEXCash or HCASH is a Cryptocurrency but not like a Regular Crypto. So what’s so special here? HEXCash is a cryptocurrency which is created to support its own ecosystem. The HexCash team aims to take HEXCash to the peak by providing a large variety of services and different offerings. HexCash doesn’t just think about its present but also its future and tried to look for the problems which other coins have. The Hex Treasury Fund was created for that to solve all those problems. Most of the CryptoCurrencies are often abandoned by their original developer and team. This pushes a Crypto to become a zombie even after a few years of active growth. Which is really a big problem for anyone to trust in a crypto and everyone finds it very risky to go for a long HODL with a specific crypto. Well, this won’t happen with HexCash. 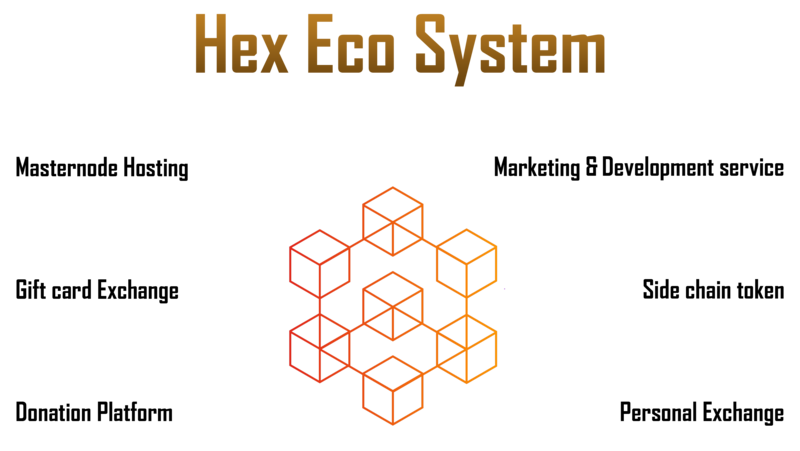 The Hex Community Based Development and Treasury Fund is the solution for Hex to run forever without worrying about anyone. An amount of 10% of the block reward generation will go to the Hex Treasury fund automatically. So the Hex Treasury fund will never run dry. In the future even if the pre-mine development fund is all spent on different projects and ideas, but the opportunity to develop more projects will never stop. And This also allows community members to propose their own project and if accepted by the community via voting then they will be paid from the Community Treasure Fund. The Specs are super interesting and I love how the Team has tried to found the problems of other crypto and has taken a step to prevent it from happening with their coin. I think if they can really implement it well, this will have a nice future! HexCash Ecosystem also is kinda something cool to hear. Looking forward to what the Team delivers! We would definitely need a Translation. Do join our Discord and put your offering on Community Offering Channel. 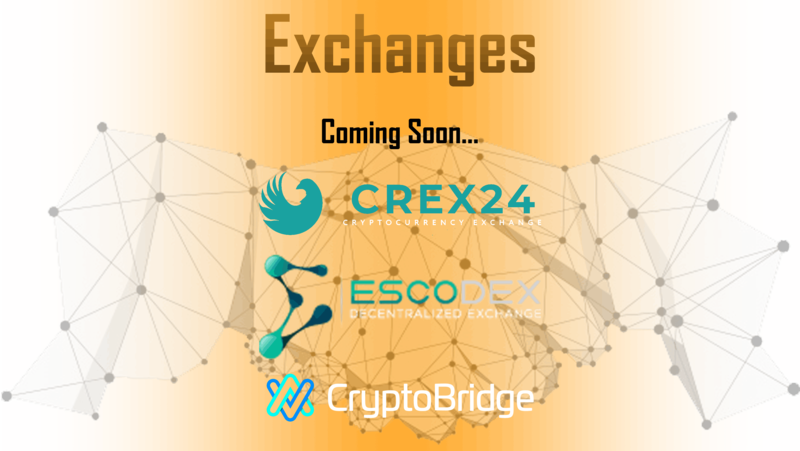 There will be several bounties and Airdrop soon! I'm glad to see that someone is looking for innovative solutions to bring the currency to grow in the long run. I will keep an eye on this project seems interesting we see how it evolves ..
Looks like the team has well thought of future of the coin with the Community Treasury. The idea of the Ecosystem with own services also looks nice. I would like to know in details about the project. Do you have a whitepaper? I can't find it! Glad you like our project idea and the Eco-system concept. And we don't have a whitepaper right now, it is on the process. We look forward to publishing it in 2-3 days. A small idea of the project was good, but for the full picture of course you need to read the full documentation! Phase 1 start from block 2. What's happened to to block 1? Thanks. Hoping for the best for your project. The first block was the pre-mine so the block reward starts form block 2. Hope that helps now. And Thanks for your wishes! Hope to see you around our discord! I'm especially interested in the masternode hosting one ~setting up masternodes is like torture to me~ and the giftcard exchange. All the specs look good to me; 1 minute block time; a rather short minimum stake age; and no pre-sale/ico is the right move to do. How will this Treasury Fund be used? It's a pattern from the last few months PoS + MN, why are you following the same mode as other coins? I think the team got the right choice in choosing the algo of this coin, well to those who ask what Xevan exactly is..
That's cool, watching for this project, hope you will launch a bounty campaign soon! good response from some people for this project because HEXCASH has an interesting concept or design project. I think you need a little promotion for your project through social media channels or Airdrop. so, are you not interested in creating a bounty program on this project. hopefully your project development will be better. Treasury fund will be used to pay everyone who contributes to the project, can be community support or Master-node support, writer, graphics designer or anyone who make their own project implementing Hexcash in their system or service. We feel this will allow anyone to come up with project ideas and do it for Hex without worrying of fund/donation for it. This will keep the development decentralized, unlike most crypto projects where the community replies on 1-2 dev for the entire development. Thanks for your good words and interest in our project. :> And we have started some Twitter bounties and Airdrop in our discord already. Hope to see you around our community. Wow, this is amazing! This is going to be one to watch and take part! Airdrop is frequent and I am looking forward to it. I am very excited about HexCash. The coin use Xevan algorithm, which is ASIC resistant algo. At first, it is good. Furthermore, I need figure on premined (which has not posted in the OP). Or this one is no-premined project?